When decorating a home, homeowners want to adopt a style that reflects their unique aesthetics and characteristics. For those seeking a modern design rooted in tradition, Southwestern art and motifs can be quite compelling options. Neutral foundation. To effectively capture the spirit of Southwestern design, start with walls and furniture in earthy tones and materials, such as leather. Bold accent colors. When choosing accessories, such as paintings, pottery, and furniture, opt for bright, distinctive colors like red and turquoise. These will “pop” against the neutral base. Stay down-to-earth. Rustic details are a vital component of Southwest design. Twigs, logs, and other natural wood accents bring an outdoor aesthetic indoors. Think expansive. Whether your space is small or large, seek to emphasize its size with furniture and accents to open it up. Add Southwest art. 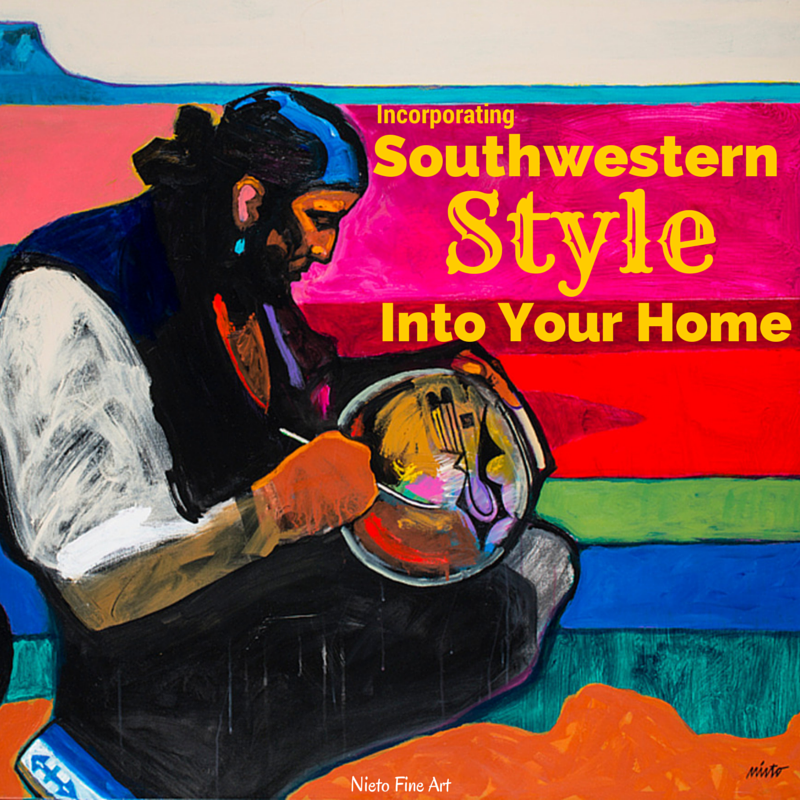 Pieces made by local artists with a deep knowledge and passion for the form — such as John Nieto — can encapsulate bold colors and Southwest motifs to enhance any space. Browse Our Southwest Art Gallery Today! To find the perfect piece of contemporary art to accent your beautiful home, visit Nieto Fine Art and browse our selection of original arcylic paintings and giclee prints. Next PostWin a John Nieto Open Edition Print!